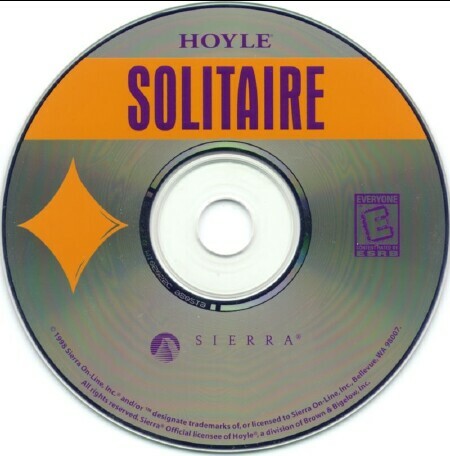 Hoyle Solitaire is the Windows version of the MS-DOS Hoyle Official Book of Games: Volume 2 with the 28 solitaire games found in that old release, upgraded with new looks, sounds and mouse control. 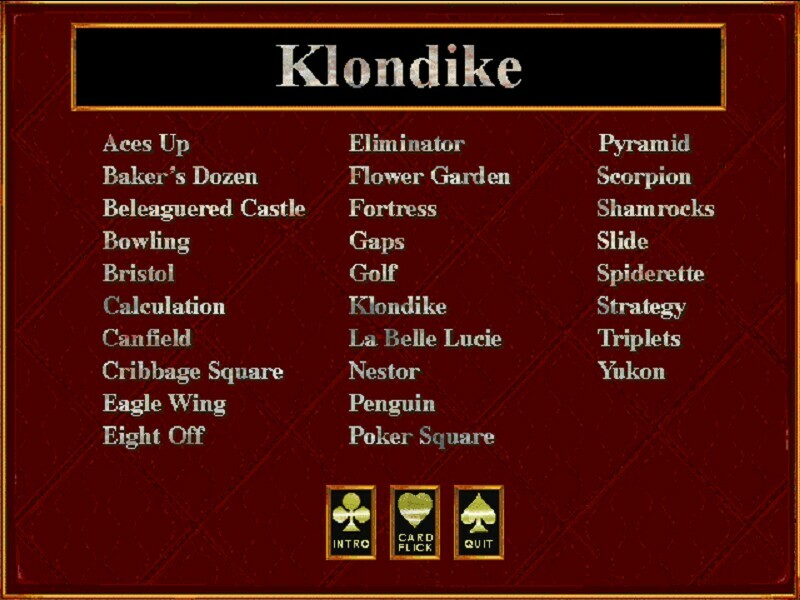 A Card Flick game has been added, the object of which is to accurately toss as many cards into a hat as possible in the time allowed. 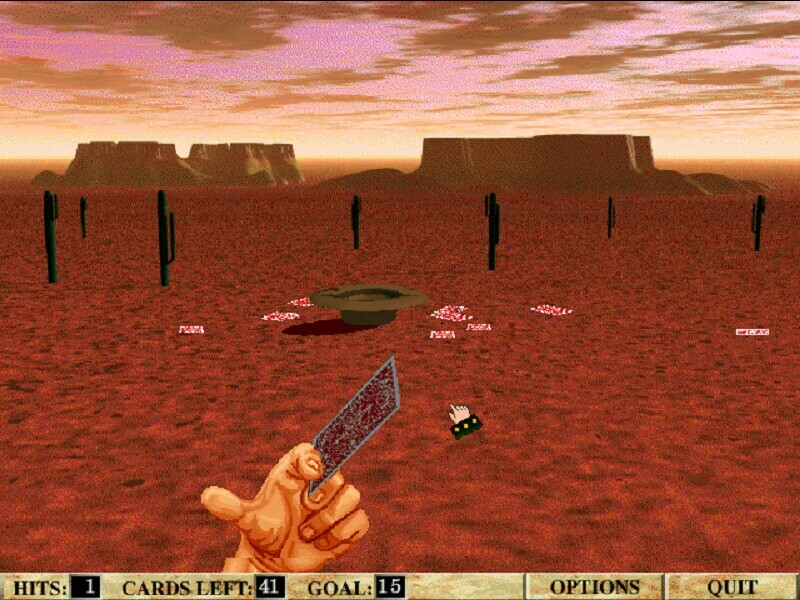 Most of the gameplay is "drag and drop" but playing a card in some of the games simply requires a right click to send it to the correct spot. Easy and Difficult settings can be chosen per game and you can undo moves as often and as far back as you desire. 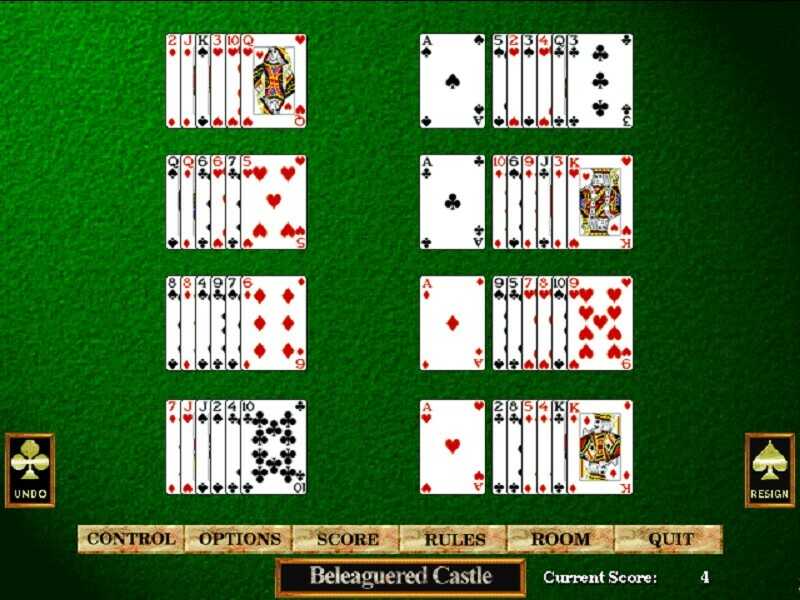 Options allow you to replay the current game from the beginning, choose backgrounds, music and card decks. 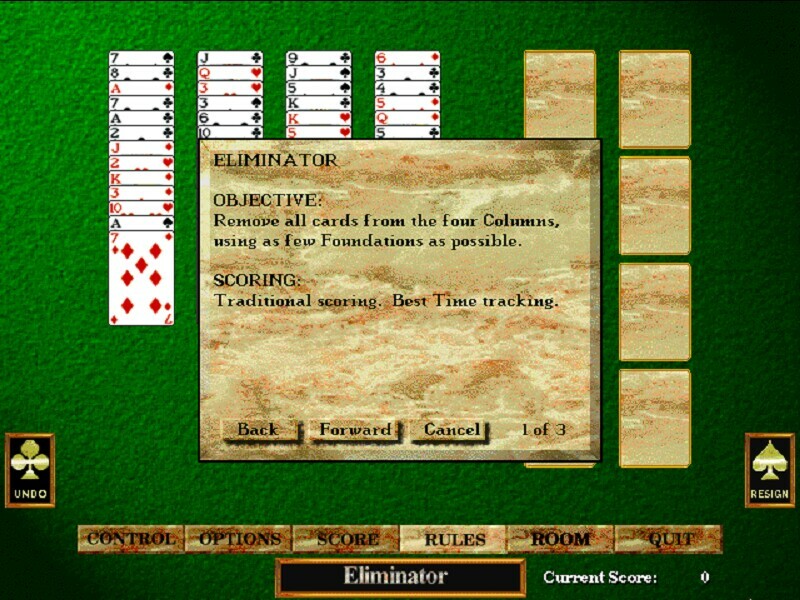 Up to 4 players can save their statistics separately.